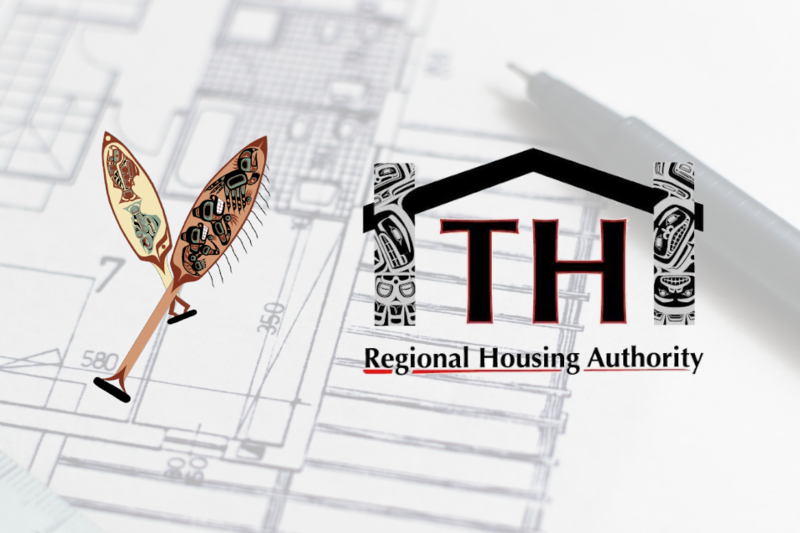 Please help us by taking this ten minute Tribal Housing survey on behalf of the Tlingit and Haida Regional Housing Authority (THRHA). Having good data on local tribal communities is essential for THRHA to build and improve housing, roads, and other necessities for the people in Southeast Alaska. This survey will help Tlingit & Haida Regional Housing Authority understand the current and future housing needs in Yakutat. We are trying to get as much Tribal Member input as possible, as this will affect the next few years of building housing locally. We only need one (1) survey entry per household. As a thank you, your name will be entered in a drawing to win 50,000 Alaska Airlines Miles OR a $200 Cash Card. Paper copies of the survey questionnaire are also available at the YTT Main Office. 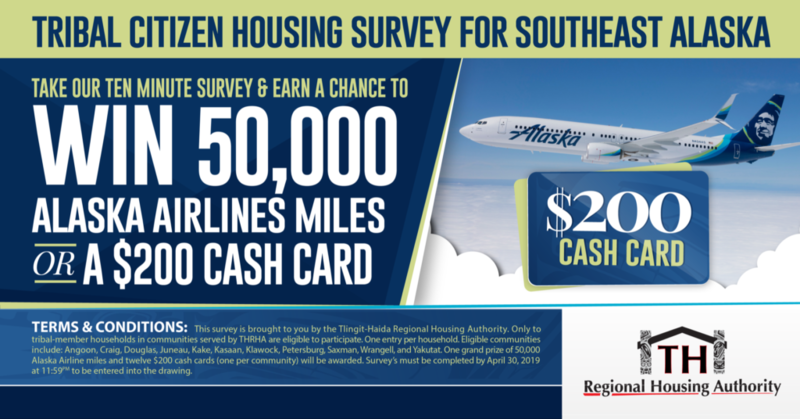 Completed surveys must be submitted by April 20th, 2019.